A #SubscriptionBox Designed for Your Master Builder! Do you have a LEGO lover in your house? If so, this is going to be the perfect Subscription for you to keep the inspiration flowing and achieve master-builder status! 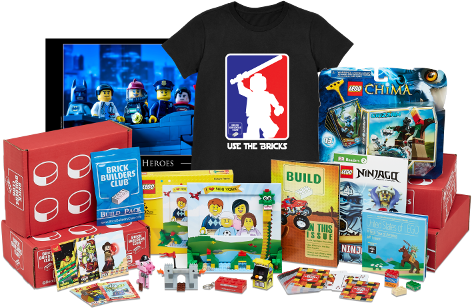 Every month, your red brick-shaped box arrives packed with official LEGO bricks you keep - never cloned brands, an exclusive LEGO-themed T-shirt in any size, Build Magazine packed with interviews and building ideas, custom trading cards, inspirational posters, and more. This is a definite hot pick this holiday season, and it's available now at the best price. Last year, memberships sold out before December so now is the time to lock in for this holiday season!